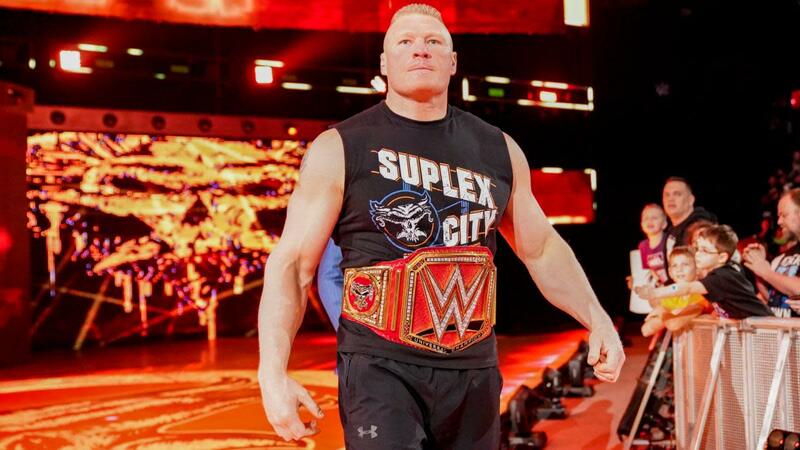 Universal Champion Brock Lesnar returned to WWE television on this week's episode of Raw. Lesnar and Paul Heyman opened the show with a promo about Lesnar's match against Seth Rollins at WrestleMania 35. They were interrupted by Drew McIntyre, who said Rollins wasn't going to make it to WrestleMania after their match later in the show. Rollins then attacked McIntyre with a chair, and Lesnar bailed when Rollins entered the ring. Lesnar got involved in the main event, with McIntyre hitting a Claymore Kick to defeat Rollins after Lesnar caused a distraction. Ronda Rousey destroyed Dana Brooke in their Raw Women's Championship match. There was a post-match angle where Rousey wouldn't let go of an armbar on Brooke. She shoved a referee and struck a security guard, and her husband -- UFC fighter Travis Browne -- also got involved in the angle and laid out a security guard. Elsewhere on Raw, Kurt Angle announced Baron Corbin as his farewell match opponent, Batista gave his side of the story of his feud with Triple H, and Beth Phoenix said she's coming out of retirement for a Women's Tag Team title match at WrestleMania. Mojo Rawley despises the word "potential"